Being all ready for breakfast by 9am on Saturday was something unusual for us, for we were usually still lying on the bed at this time. Thanks to the water disruption which had lasted for more than two weeks, we had to wake up early at 7.30am to queue up for water at the temporarily water tank. But all this did not affect our weekend mood, for the girl was taking day off this Saturday. 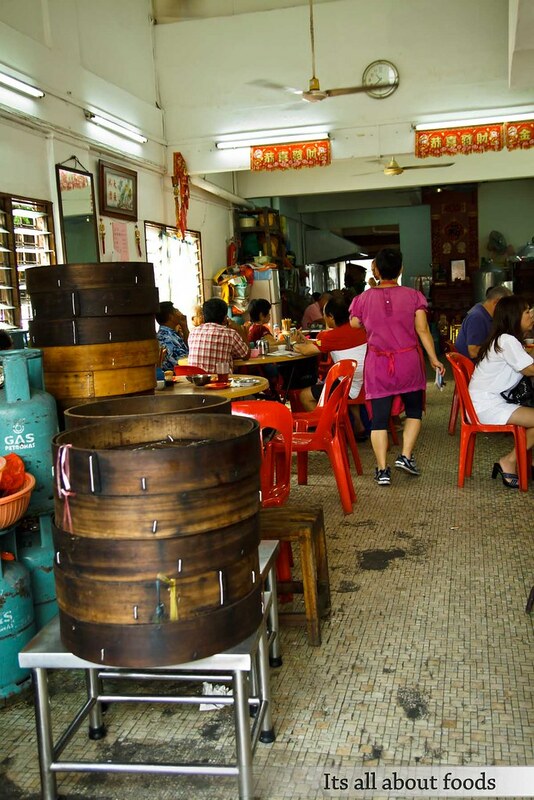 So we headed off to Restoran Tuck Cheong for breakfast, a small coffee shop which said to serve delicious dim sum and steamed rice. 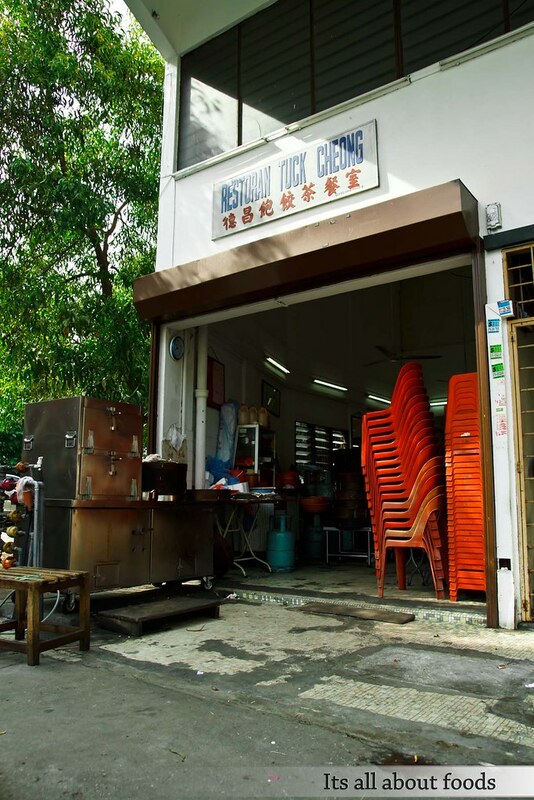 This restaurant was tucked away at the end of Jalan Kancil, Pudu. We were there by 9.30am, and the restaurant was still packed with customers. 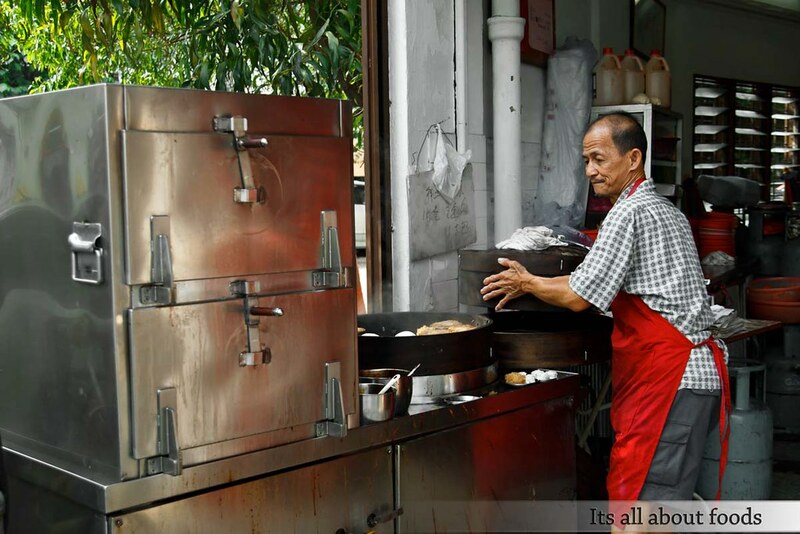 Most of them were senior citizens, which seemed to be the frequent visitors to Tuck Cheong, judging from the way they communicate with the lady boss. So we shared a table with two uncles, who were more than friendly to invite us to sit with them. 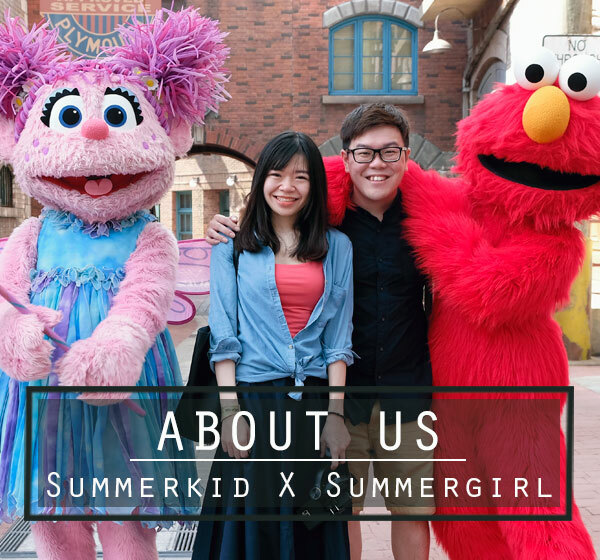 Asking them how often they visited Tuck Cheong, their answer was: Everyday. Hmm..loyal customers. Being newbies, we didn’t know how should we place our orders. No dim sum trolley came to us, and no one came over to place order for us. In the end, we went over to the steamer place and picked our dim sum. This was how we should place our orders, perhaps. There was not much choices left, not even har gau and siu mai. What we read from reviews seemed true. Will be there earlier next time. 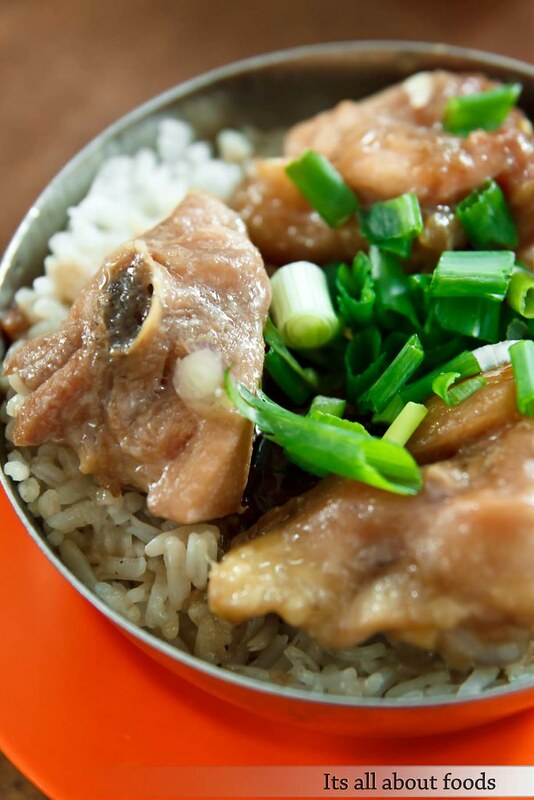 We wanted to try both, the Braised Chicken Steamed Rice and Braised Pork Ribs Steamed Rice. 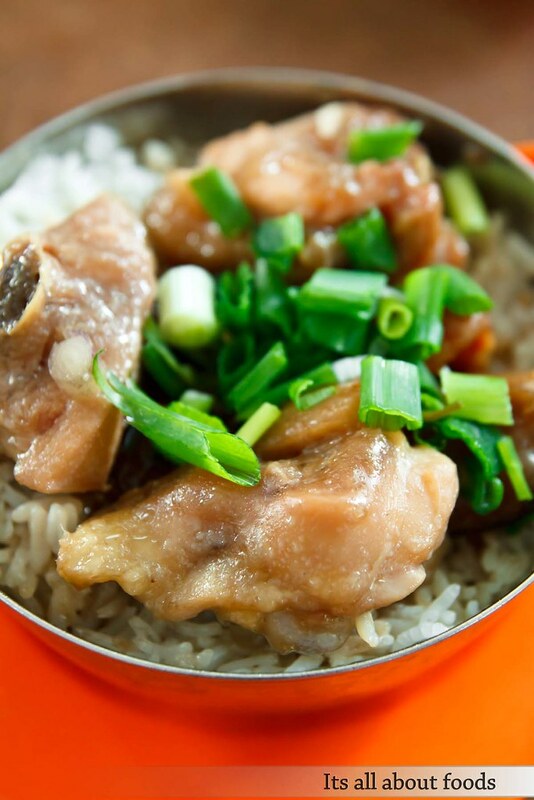 But too bad there’s only one last Braised Chicken Steamed Rice left, so we grabbed the last. The steamed rice came in sizeable portion. Not the loh mai kai’s bowl size, but double. 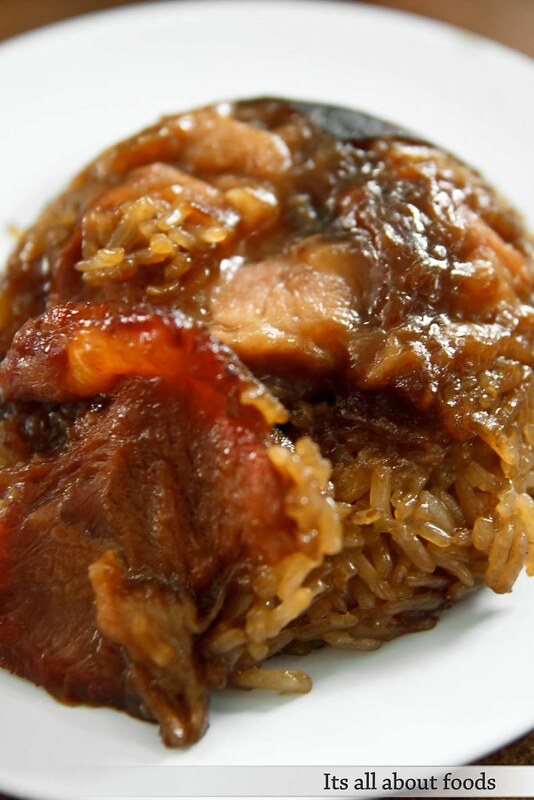 There was large pieces of tender chicken, lap cheong, and mushroom sitting on a bed of gravy loaded rice. RM4.70 for such a good stuff was definitely a steal. 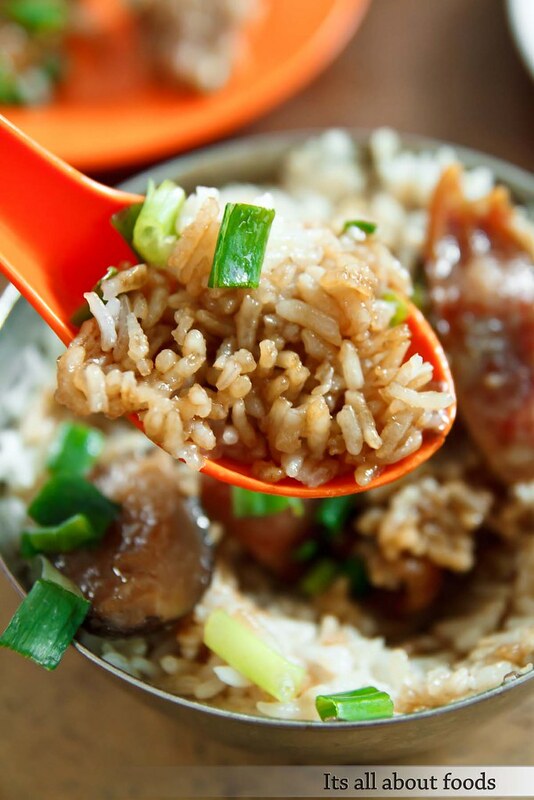 Moistened by gravy, the rice was so flavourful, making us to dig in one spoonful after another. Being a sauce lover, we found that a little more sauce will make this dish better. Tuck Cheong makes their own fish paste and has it stuffed with brinjals, chilli, pork skin, etc. We like this fish paste sandwiched within pork skin. Fresh, bouncy and delicious with the savoury brown sauce. 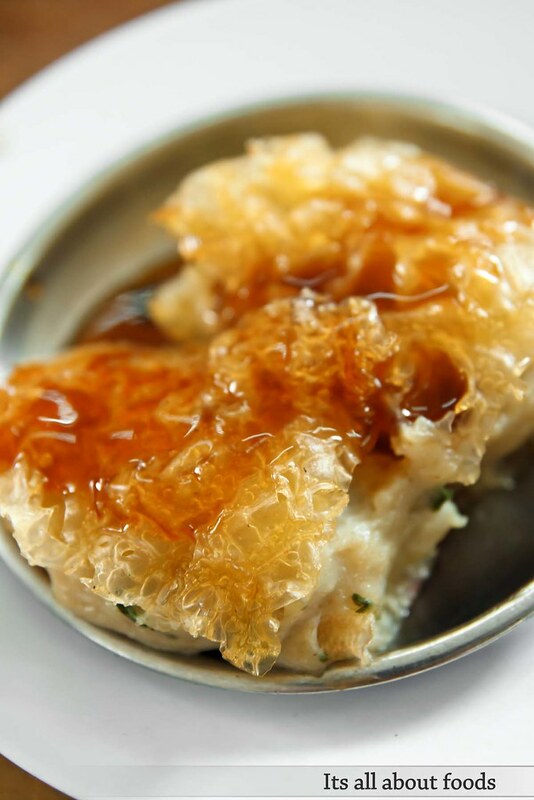 The glutinous rice was soft, moist and flavorful on certain parts, which was good. But the rest was rather dry, uneven steaming we guessed. Other than the usual chicken and mushroom, there was a large piece of char siew like pork slice. Not juicy, but chewy. Nice to munch on. The meal cost us only RM11.30, including a glass of hot tea. With decent dim sum price ranges from RM2++ to RM5, we rate Tuck Cheong a good place for dim sum. Just one thing we regret: while 9.30am is the busiest hour for other dim sum shops with most choices dim sum available, this goes opposite for Tuck Cheong as they already ran out most dim sum(s). Our advise: Be there early to avoid dissapointment. Your photos are so so so beautiful.